Genome now has a built-in synth and drum machine. 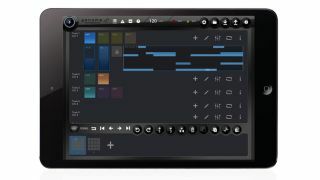 The iPad is proving to be an excellent platform for MIDI sequencing apps, and one of the first ones to come to market - White Noise Audio's Genome - has now been updated to version 2. Perhaps the biggest news is the addition of the Rack page, which enables you to sequence sounds generated by built-in modules. These include a synth and a drum machine, with more set to be added in the future. There's also a new song mode that's said to make working on longer projects easier and more intuitive, and a metronome has been added. The file manager has been improved, too. Genome 2 is available now for the iPad and costs £5.99/$7.99. You can buy it now from the Apple App Store.